Following wedding invitation etiquette will show your guests how important they are when it comes to sharing your wedding day. A few simple steps will keep this aspect of your wedding as simple as it can be. Proper wedding etiquette is essential when you are planning your big day. When you are making your guest list, you will need to keep a few things in mind: your budget, where you are having your wedding/reception, and how formal you would like your wedding. Your budget is a key factor with wedding invitation etiquette. Including your closest friends and family is vital to a wonderful day. The cost of the invitations is a small part of the budget requirements for the wedding. Tailor you guest list to the amount your budget will allow for the entire wedding event. Also to think about with your guest list is the location of the wedding. You will need to take into consideration how many people can fit into the location where you will be married and have your reception/dinner. Last of all, how formal do you want your wedding to be? With more formal weddings, children are generally not included. If your wedding is a semi-formal affair, and you would like, then children are included. After all of that...your guest list is created. You have your closest family and friends and sometimes your not-so-closest friends of your parents. It is time to begin the wedding invitation journey. 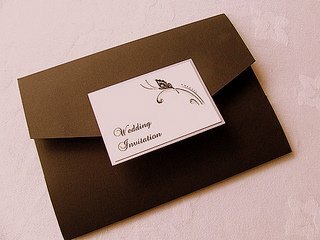 Good wedding invitation etiquette begins with the look and feel of your invitation. This is when your guests will understand how formal your wedding is. Use colors that complement the colors you have chosen for your wedding. Your best bet is to use a dark colors for the font on a light background. When selecting a font, be sure that it is classy and easy to read. We received a wedding invitation with a font that was very difficult to read. The numbers were confusing and the letters were all askew. I had to call the mother to clarify the address and time of reception. About 2 months before the wedding you will want to order your invitations. If you are making your own invitations, start as soon as you can. The creating and assembling of invitations takes time, as you want them to be perfect. When you are placing your order ask for a proof. This will allow you to see if the spelling is correct, the font is legible and how it all looks. You will want to order around 25 extra invitations, as there are usually surprise guests who pop up. Also, order extra envelopes. 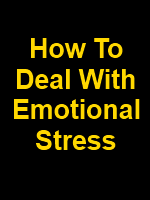 This takes away the pressure of addressing everyone perfectly by giving you some error cushion. Be sure to have a list of what you need included with the invitation: rsvp cards, directions/maps, reception information. Including the rsvp cards will help your guests with their wedding rsvp etiquette. Believe it or not, there is a wedding invitation assembly etiquette. This will determine how your invitation looks when it comes out of the envelope. It is not fun to have the invitation and all of the includes explode all over when your guest opens the envelope. Place the invitation face up with the tissue on top. Set the RSVP card face down under the card envelope on top of the invitation. The directions, reception information and lodging information are placed face-up on top of the pile. The invitation and all includes slide into the envelope facing the back. The inner envelope is placed in the outer envelope with the flap of the inner envelope facing the back of the outer envelope. If you have a folded wedding invitation, the fold is placed at the bottom of the envelope. Good wedding invitation etiquette is used when you send your invitations out on time. The rule of thumb is that you want to send them out 4-6 weeks before the wedding. However, if you are having a destination wedding, you will want to send them 6-8 weeks before so that your guests have time to make travel arrangements. Sharing your wedding day with those you love is so important. It adds to the happiness of the day. Your invitations will set the tone and bring you all together to celebrate your wedding.